Metal Garages Direct offers metal garages to the entire state of New Hampshire NH. 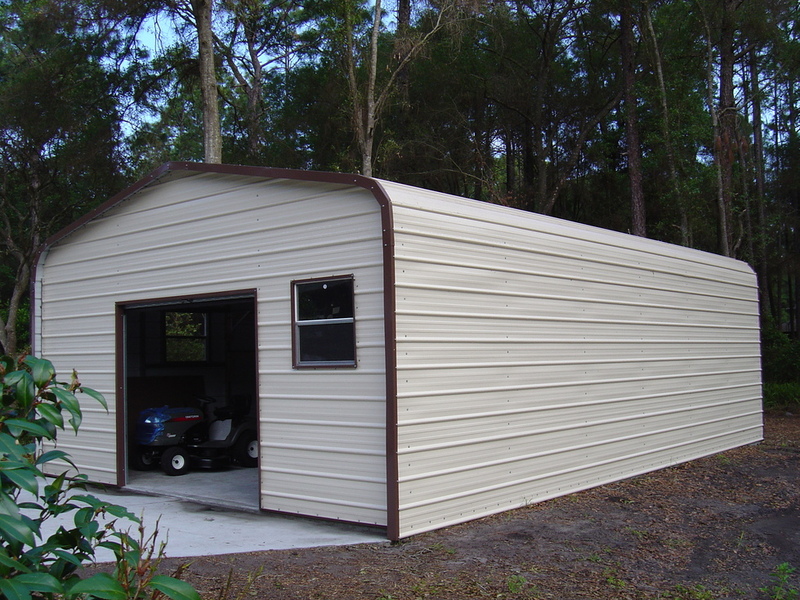 We offer our New Hampshire metal garages in many different sizes starting at 12' wide up to 60' wide and as long as you want. Our garages are available in up to 14' side height. Our New Hampshire NH metal garages are available in 13 different colors! In addition New Hampshire NH metal garages are available in both 14 ga(no warranty) or 12 ga(20 year rust through limited warranty) and come standard with 29 gauge paneling. New Hampshire steel garages are available in both certified and non certified. We also offer carports, metal barns and steel buildings!Our metal garages are great for storing cars, trucks or tractors. A New Hampshire steel garage helps protect your assets from mother natures unpredictable weather. ​Unlike most companies we display our prices for you to see so check out our garage packages below! Our New Hampshire metal garages are delivered and installed for free as long as your ground is level. Our normal delivery time for New Hampshire are is 3-6 Weeks and up to 8 weeks. So if you are looking for a great metal garage or steel garage at a great price with quality service then give us a call toll free at 1-877-662-9060 or email us: sales@mayberrymetalstructures.com. These are the cities we service: Alton NH, Antrim NH, Ashland NH, Bedford NH, Belmont NH, Bristol NH, Charlestown NH, Claremont NH, Concord NH, Contoocook NH, Derry NH, Dover NH, Durham NH, East Hampstead NH, Enfield NH, Exeter NH, Farmington NH, Franklin NH, Goffstown NH, Greenland NH, Greenville NH, Hampton NH, Hanover NH, Henniker NH, Hillsborough NH, Hinsdale NH, Hooksett NH, Hudson NH, Jaffrey NH, Keene NH, Kingston NH, Laconia NH, Lebanon NH, Londonderry NH, Manchester NH, Marlborough NH, Meredith NH, Merrimack NH, Milford NH, Milton NH, Nashua NH, New London NH, Newmarket NH, Newport NH, Northfield NH, Peterborough NH, Pittsfield NH, Plaistow NH, Plymouth NH, Portsmouth NH, Raymond NH, Rochester NH, Rollinsford NH, Salem NH, Sanbornville NH, Somersworth NH, South Hookset NH, Sunapee NH, Suncook NH, Tilton NH, Troy NH, West Swanzey NH, Wilton NH, Winchester NH and Wolfeboro NH!